Emperor Reigen (霊元天皇, Reigen-tennō, 9 July 1654 – 24 September 1732) was the 112th emperor of Japan, according to the traditional order of succession. Reigen's reign spanned the years from 1663 through 1687. Reigen was the 16th son of Emperor Go-Mizunoo. His mother was the daughter of Minister of the Center Sonomotooto (内大臣園基音), Lady in Waiting Kuniko (新広義門院国子). 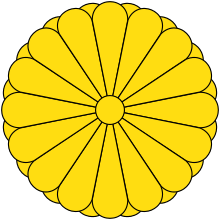 4 June 1680 (Enpō 8, 8th day of the 5th month): Shogun Ietsuna dies; and he is succeeded by Tokugawa Tsunayoshi. 1681 (Tenna 1): Tsunyoshi's investiture as shogun. 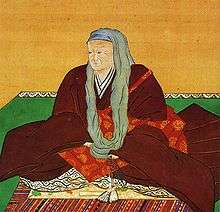 24 September 1732 (Kyōhō 17, 24th day of the 9th month): Reigen died; he was age 79. 1 2 3 Ponsonby-Fane, Richard. (1959). 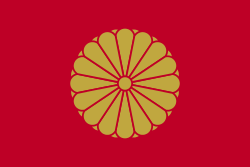 The Imperial House of Japan, pp. 117. ↑ Titsingh, Isaac. (1834). Annales des empereurs du japon, pp. 414–415. 1 2 3 4 5 6 7 8 9 10 11 12 13 14 Titsingh, p. 414. 1 2 3 4 Titsingh, p. 415. ↑ Ponsonby-Fane, Richard. (1956). Kyoto: The Old Capital of Japan, 794–1869, p. 342.